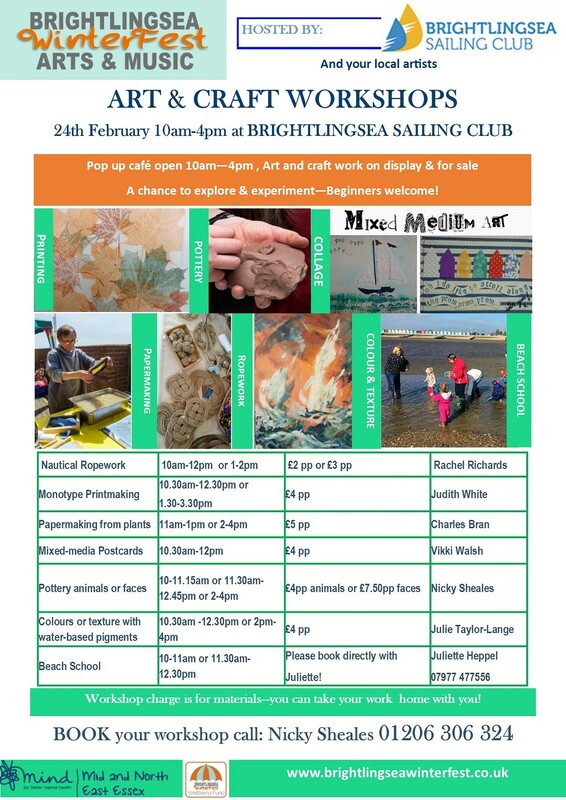 Brightlingsea Sailing Club is delighted to be taking part in WinterFest 2019 by hosting the festival's Arts & Crafts Workshops on Sunday 24 February. All members are welcome to book in for the workshops (see details in the posters below) or simply pop into the club to see some of the artists' work and enjoy refreshments from the pop-up cafe the volunteers will be running. In 2014, following the suicide of a well-known local musician after a long battle with depression, a group of his friends decided to hold a small concert in his memory. The event was designed to raise spirits and boost the town's sense of community. 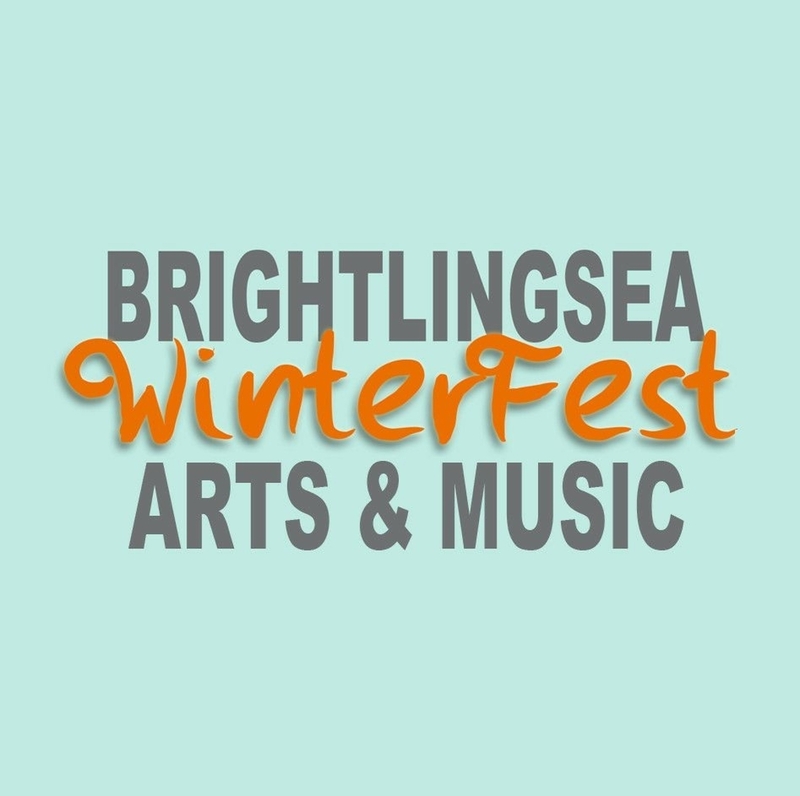 The first WinterFest took place in 2015 – a four-day music and arts festival run by volunteers at at different venues around Brightlingsea. It raised over £2,000 for Mind UK and has since gone on to raise thousands more for Mid and North East Essex Mind, a self-funded subsidiary of Mind UK. From those early beginnings, WinterFest has grown to become a major town event, featuring something for everyone to enjoy with lots of opportunities to get involved.